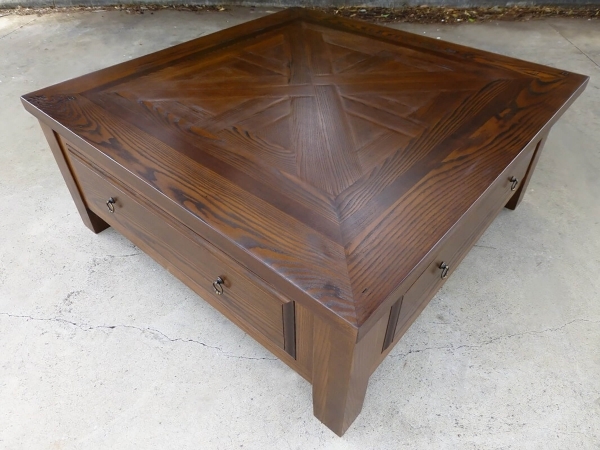 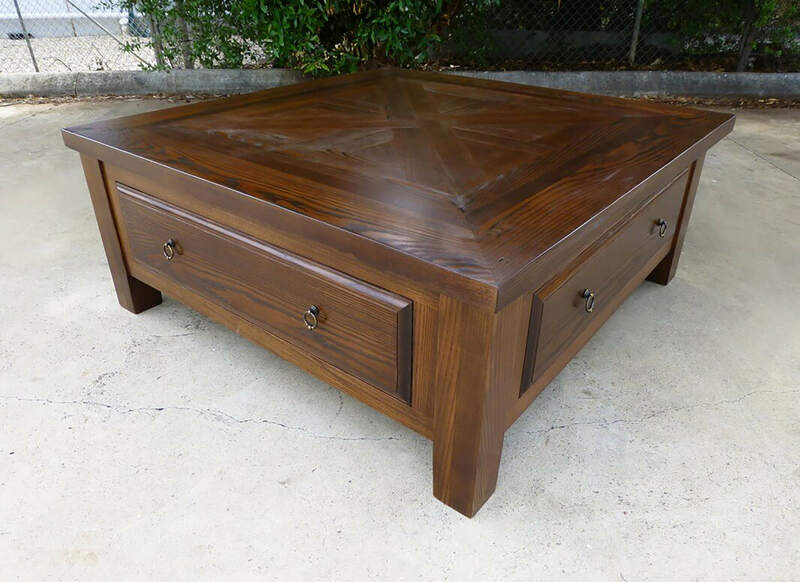 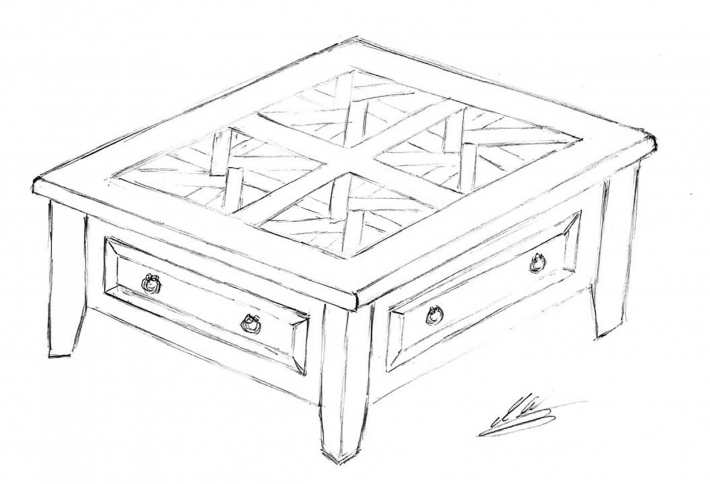 Coffee table custom made with hand-laid parquetry table top. 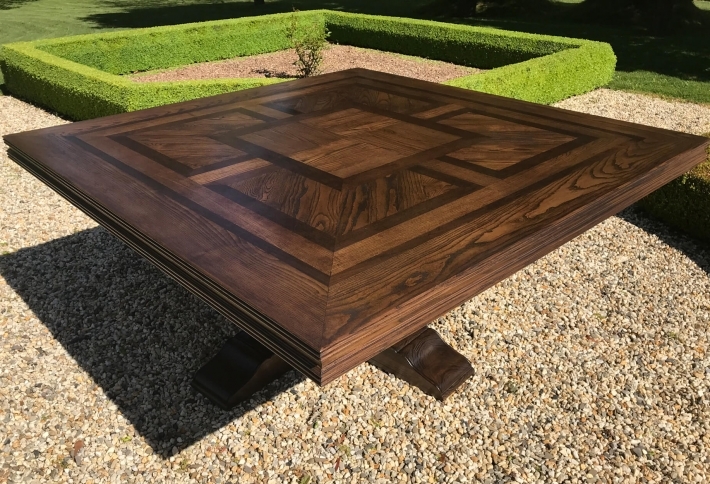 Parquetry inlay custom designed to co-ordinate with room décor. 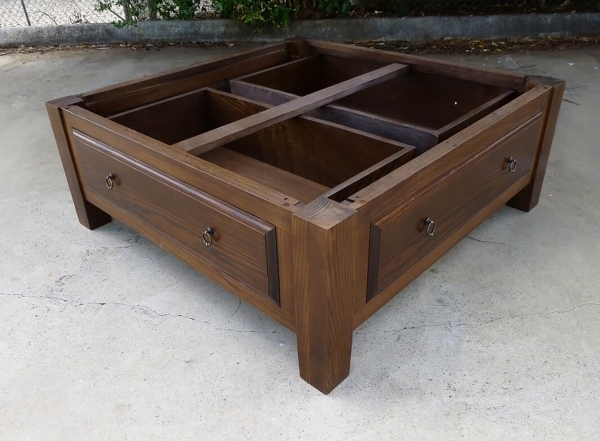 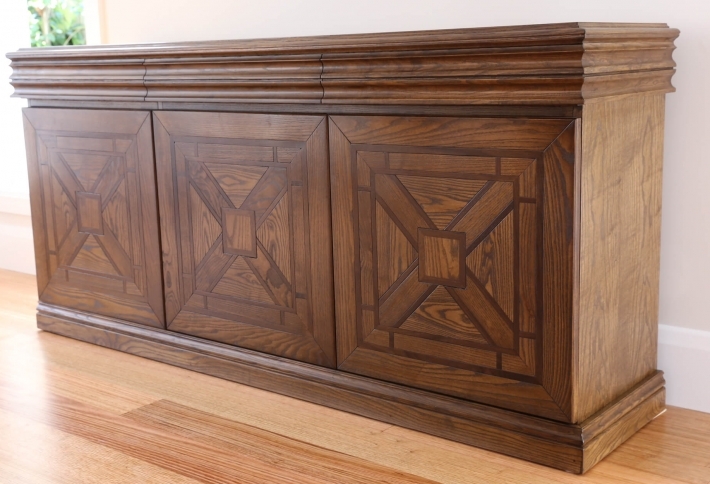 Features 2 large working drawers and 2 false drawer fronts.